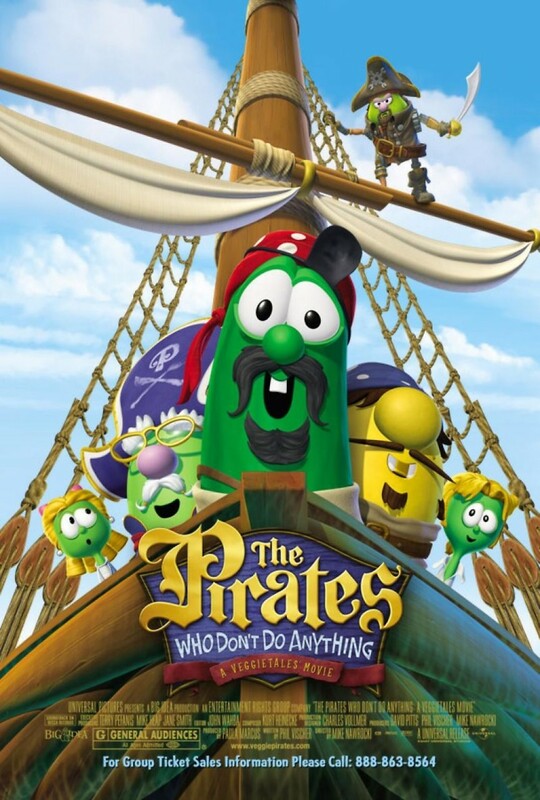 Larry the Cucumber, Pa Grape and Mr. Lunt are lazy pirates who are summoned to a high seas adventure. They are good-hearted characters, but they have had trouble determining just what to do with their lives. On this adventure, they will learn how to put their maritime identity to good use as they try to reunite a girl with her father. The story includes many adventurous interludes, some of which have allegorical underpinnings. The pirates also frequently find themselves in wacky and humorous situations, and they must use teamwork to get out of them. They also have to rely on their faith, and that is ultimately rewarded when they succeed in their mission and are thanked officially by the one they have so diligently sought.